All normal composites are built up with reinforcing fibers and a matrix system binding them together. 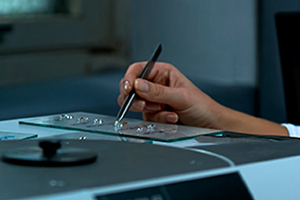 The matrix system is critical for the properties of the composites. Composites are used in new applications all the time because of their desired light weight and strength. These new applications often influence the requirements of the composite. Re-Turn tailor-make the matrix systems for the composite applications. Property requirements might include reduced risk of allergic reactions, processing parameters like potlife and curing temperature or impact resistance. 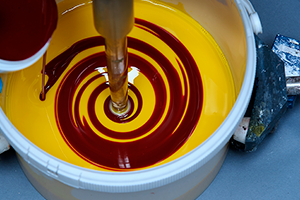 Re-Turn has developed a series of paint and coating systems based on Epoxy and PUR. Most systems have been special solvent-free coating systems. These have been both with and without nano modifications, predominantly with nano carbon tubes or nano silica systems, but we deliver custom made coating systems for most applications. CIPP (cured-in-place pipe) is a rehabilitation methods used to repair existing pipelines without digging them out of ground or replacing them in buildings. Instead a new pipe is made inside the old pipe. Re-Turn has delivered specially formulated matrix systems for this application for many years, and we continuously do development work on this area. We also perform ring stiffness tests on CIPP-produced pipes for clients according to the NS-EN 1228. Some of our engineers have very long experience with formulation work on Epoxy- and PUR-flooring systems. We are doing internal development projects on this area to make better flooring systems for the future, but we can also deliver custom made flooring systems for specific applications. There are no good or bad adhesives. Whether it is a good or bad adhesive system depends on the requirements for the application and if the properties of the adhesives suite these requirements. For instance there is no use to have an immensely strong adhesive if the bond is not flexible enough to endure the impacts the application requires. Re-Turn can tailor make the adhesive system for your application whether it be a high temperature adhesive or an electrically conductive bonding. Re-Turn has been working with road marking systems and photoluminescent systems for many years, and is still delivering patented solutions to the road marking industry. These types of systems can also be used for other applications to improve safety for instance in tunnels or ships.